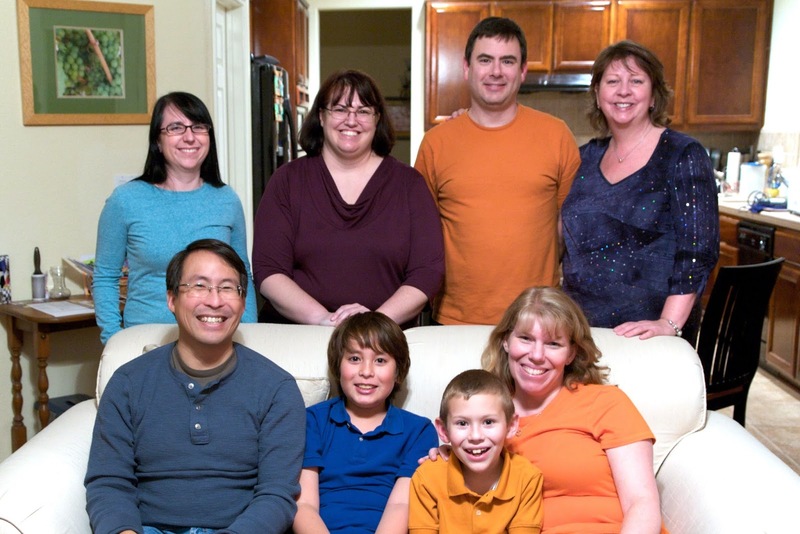 Each year, I host a New Year's Eve celebration for Trevor's godparents. It's a really fun group and we always have a great time. Part of what I love about them is that they are completely tolerant (enthusiastic, even) about being guinea pigs for my weird food experiments. Last year, I served them seven dishes featuring potatoes (including two potato desserts and a potato drink). The year before that, I served only foods with the word "new" in their names. It's great fun for me to challenge myself. A big part of the challenge is that this particular group, while compatible in so many ways, is quite incompatible culinarily-speaking. Amongst the 8 of us, at least one doesn't eat: beef, lamb, duck, goose, game, seafood, onions, garlic, peppers, anything spicy, dairy, cheese, eggs, raw tomatoes, peas... and the list goes on and on. We eat a lot of chicken teriyaki when we get together. 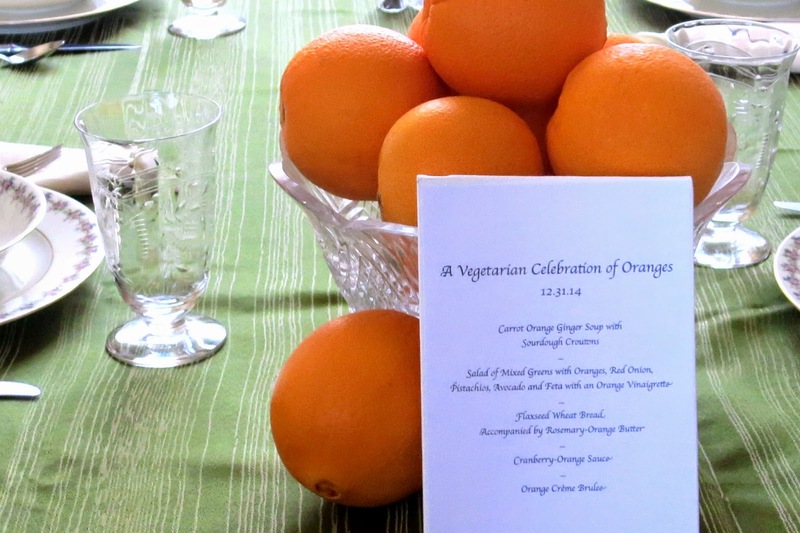 Because we have such a prolific orange tree, I decided to go for an orange-themed meal. Could I put together a multi-course meal with each dish featuring oranges? Of course! For an extra challenge, I went vegetarian as well. 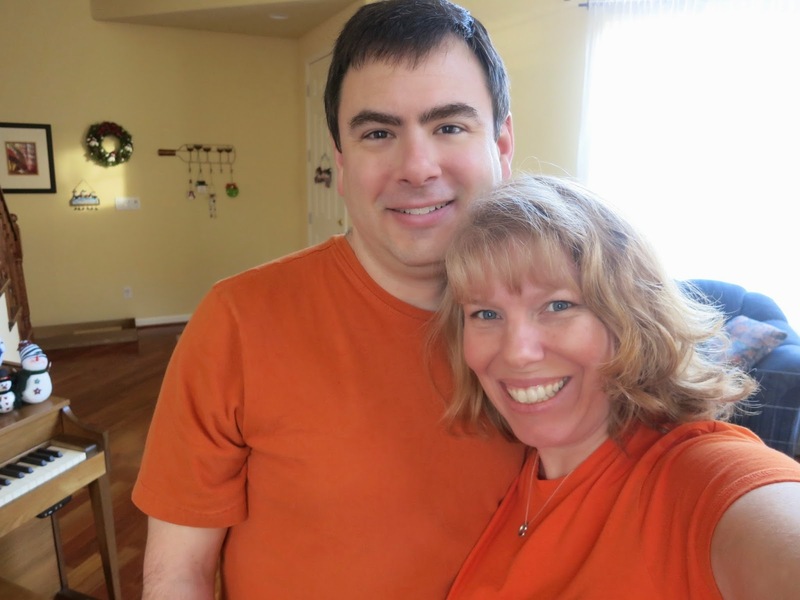 We even dressed for the theme. 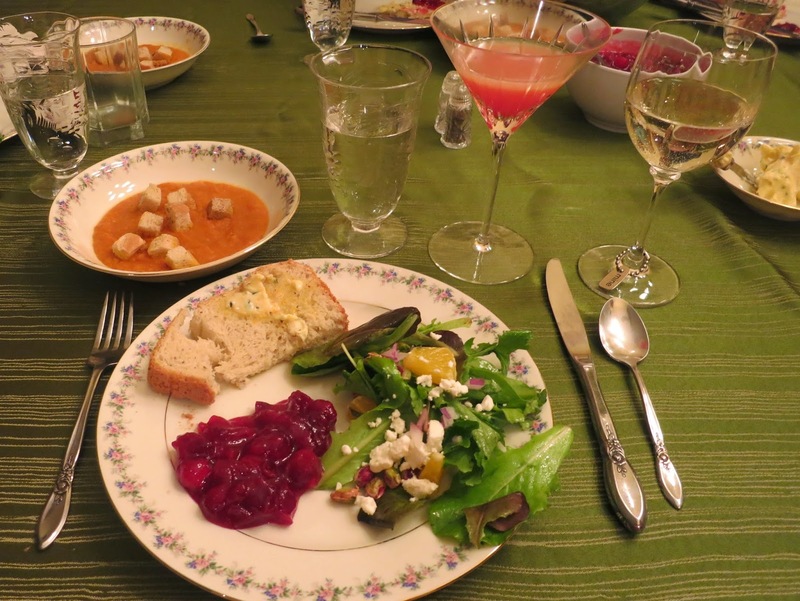 I served a carrot-orange-ginger soup with homemade sourdough croutons, a flaxseed wheat bread with rosemary-orange butter, a salad with oranges and an orange vinaigrette, and cranberry-orange sauce (to be eaten plain, or in place of the butter on the bread). Steve made a fabulous cocktail (mocktail for the kids, of course) featuring oranges. 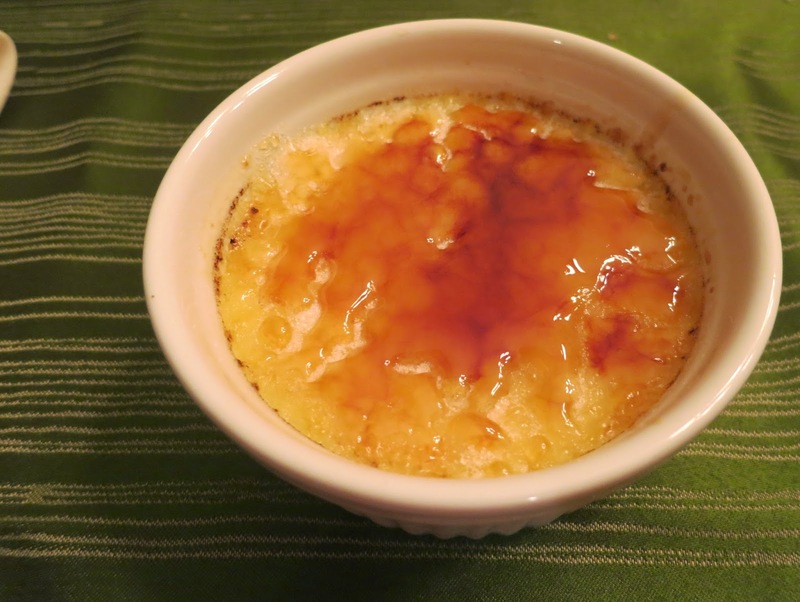 For dessert, we had orange creme brulee. (Everyone except the person who doesn't eat dairy and eggs. There aren't a lot of desserts with neither and I really wanted to make a creme brulee.) It was really yummy. It was a great way to welcome in 2015! You are so amazing!!! I am loving the orange theme!!!!! I think your dinner parties sound so fun! I like trying new things, and I love that you challenged yourself to do that. Sounds like fun, love the orange theme. Oooooh...love the orange theme! What fun you must have as a group! I love oranges. This dinner looks and sound scrumptious to me! What a fun tradition!